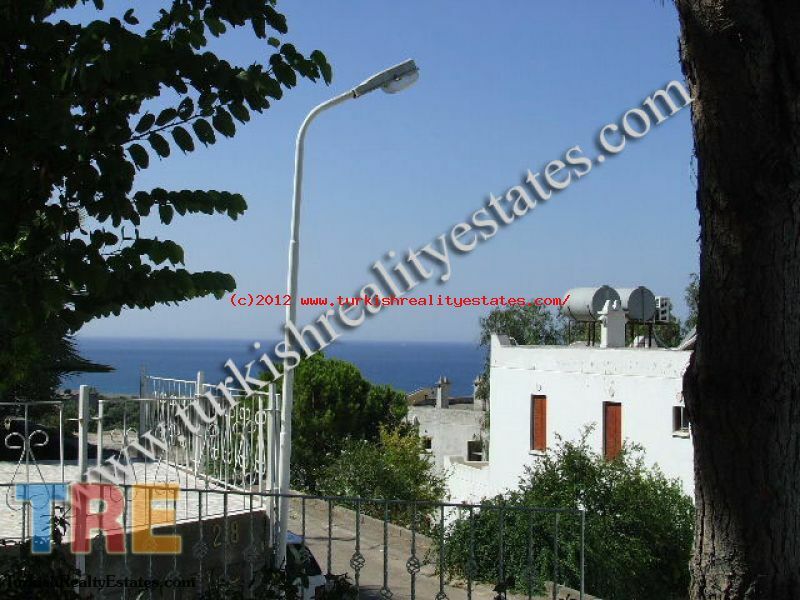 This large detached property has stunning seaviews overlooking the Aegean Sea. It has a large nicely shrubbed garden and covered terrace. This property comprises of 3 double bedrooms and two reception rooms, a large kitchen comprisin one of the large covered terrace faces to the front of the villa and the other to the side of the villa. 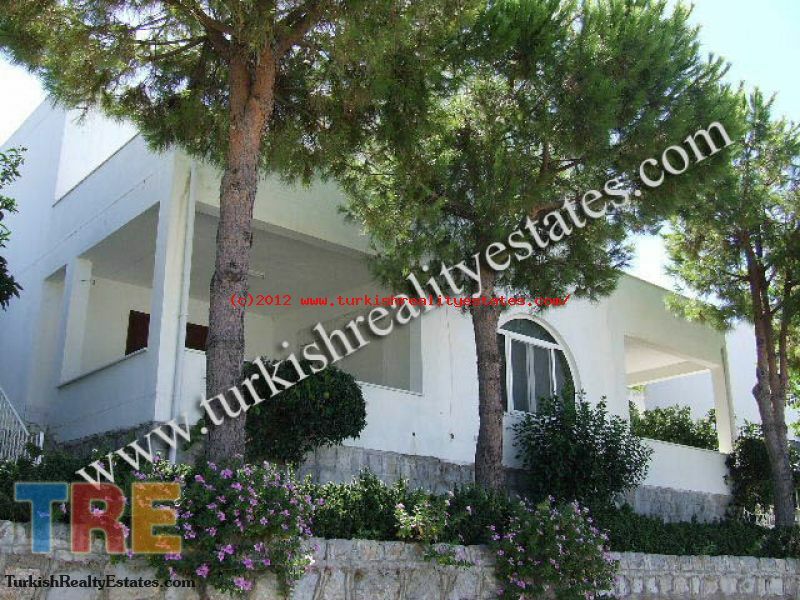 It is situated on a nice complex overlooking tyhe proposed site for the Dalaman Marina and has unrestricted views of the Beach. The current owners of the property have kept the maintenance to a high standard and early viewing of this property is recommended. Fully furnished and would make a perfect holiday home or rental property. Double bedroom with door to balcony and views to the surrounding area.wooden flooring and shutters to windows. Double bed, wardrobes and shutters on windows leading to a large terrace. Double bedroom with door leading to terrace wooden flooring throughout. Double bed, wardrobe, wooden flooring and shuttered windows. Large lounge complete with quality furniture wooden flooring and shuıtters on doors leading to a lovely large covered terrace. second sitting room which could also be changed into another bedroom or dining room if required. Large Modern Kitchen with eye level units and all white goods to remain. Modern family bathroom with , shower, wc, wash basin and modern fitted vanity units. 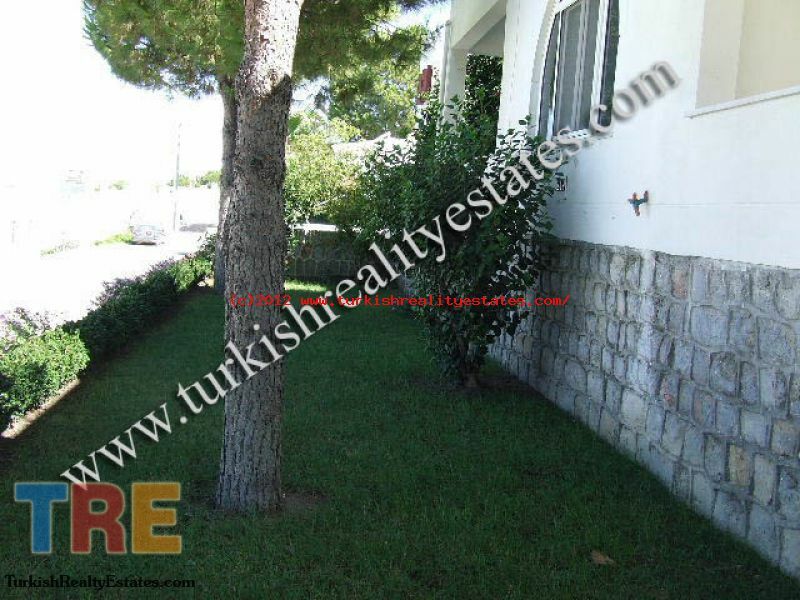 Lovely gardens laid with lawns and surrounded by pretty bourganvilla and pine trees. 2 large covered tearraces,one to the fronty of the property with built in Barbecue and one to the side of the property. 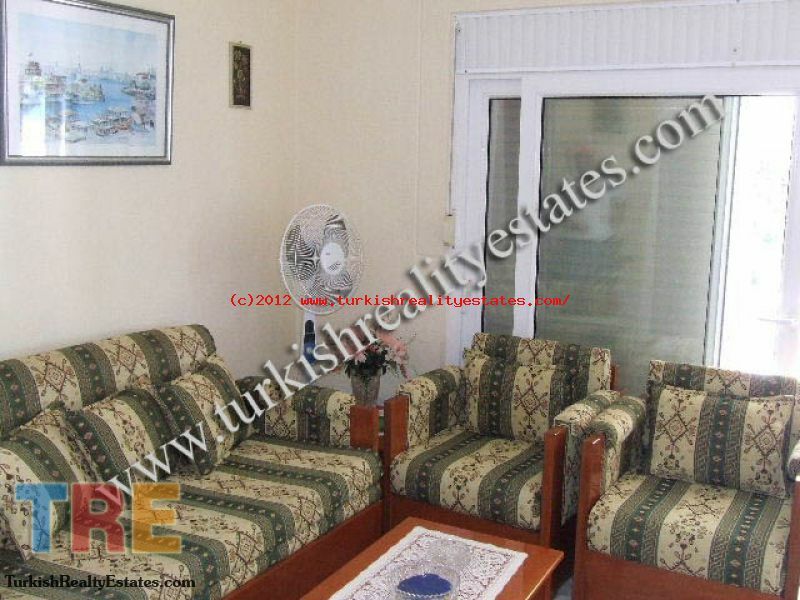 Unrestricted views of the beach and proposed Dalaman Marina project.